January 2010 was extremely cold in N.W. Florida. St. Joe’s Bay, near Port St. Joe, is a shallow Bay and with 14 nights well below freezing the bay’s water became very cold. The bay is a winter home to many sea turtles because of it’s many grasses. Green are the most dominate sea turtle in the bay. 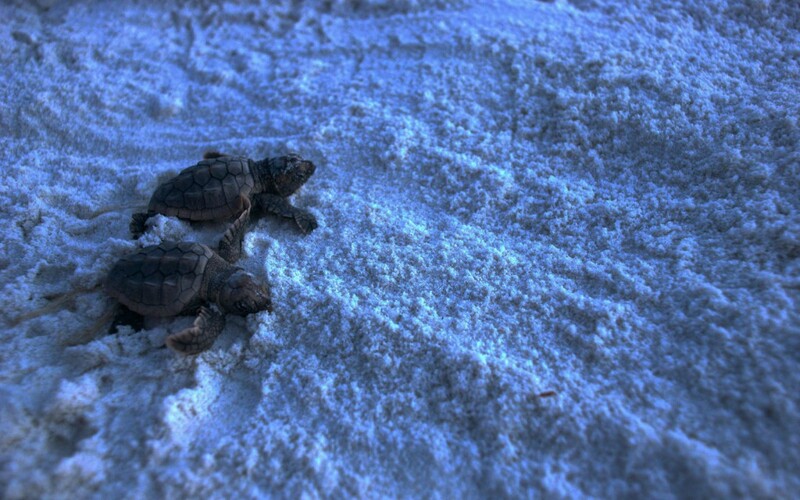 Sea turtles, being reptiles, need warm water so with the very cold water we had over 1800 sea turtles strand. These sea turtles, cold stunned ,were picked up and taken to Sea World in Panama City Beach, warmed up, checked out, and then released when there were warm. 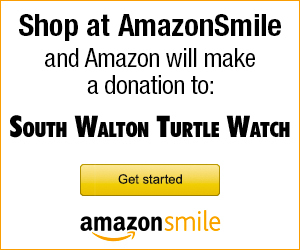 South Walton Turtle Watch was proud to take part in this great adventure. We are sorry to say over 600 of these sea turtles died but the rest lived and hopefully will come back to nest on our beaches. We hope to see these sea turtles back on our beaches as nesting adults. About 6:15 am, I was headed to mark nest 32 when I saw a man looking at something in the water. I saw flippers and very close to the shore. I ran over expecting to find the mama sea turtle who just laid her nest. It was a dolphin. He still had some energy and was trying to ride waves into shore, but also turn and swim out. He was injured and being tossed by the waves. He made a dolphin sound. Blood came from his mouth. I called Sharon and ran to Bill and Sharon Higgins house. Called a few other SWTW people. Wayne came down and the tourist, Bill, and Wayne took the dolphin out from the wave break to keep him calmer, trying to keep his blow hole clear. Gulf World came about one and a half hour after the initial call to Sharon. We were on the beach until 9am. They confirmed the death and took samples, told us it was a spotted adult male. Today was a beautiful day to release two loggerhead sea turtles. One of them Joe Burton picked up alive on May 5, 2009 and the other Gulf World thought was ours but I could find no record of it. They both were very young Loggerheads, about 3 years old and both had had pneumonia and rehabbed at Gulf World in Panama City. We took them out this morning about 9 and were back by 10. We went out 4 miles looking for the Sargissam Weed to put them in but finding none we just let them go. I do hope they find enough to eat, now that they are well. Notice how the young Loggerheads have ridges on their backs that go away as they get bigger, hopefully they will come back to Walton County to nest in 20 years. Larger images can be seen in the Scrapbook Gallery. Ask a Sea Turtle Volunteer to purchase one of these bags for only $1.00!